A Keeper: There aren't many bikes I have that I would "never get rid of", but this is one of them. 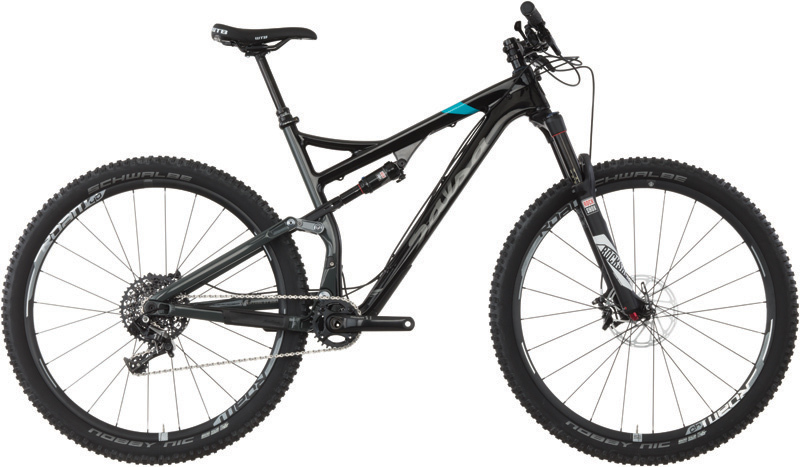 It is a 2007 OS Bikes Blackbuck. Longtime readers of this blog will no doubt recognize it. It is a bicycle designed and sold by Mark Slate, a principal in WTB, and their tire designer. "Slate", as he's known as, has been around the mtb scene for as long as there has been a scene. He's seen a thing or three, and the Blackbuck is sort of an "old skool meets new school" 29"er circa 2007. It has a crusier-ish look with the rounded seat stays, an eccentric bottom bracket, for easy rear wheel removal and chain tensioning without a goofy slider drop out look, and a classy, understated look. It's hopelessly outdated now though, since it doesn't have through axles or "Boost" spacing. That's okay though. I finally got it out for the year and put some different wheels and tires on there. The stickers will come off those wheels at some point, and maybe I will get around to mounting some right proper skin wall tires. This will be where I will stay with this bike though. I will have the option of a suspension fork or this rigid fork, or the original rigid fork, if I get really crazy! But the main thing is that it is up and running, which was important to get done! A little North of Missouri, but it'll have to do! Point is, now you can grind yer gravel almost all year long these days, thanks in part to folks that paid attention to the Gravel Grinder News calendar, and planned their events when there weren't any going on, like in the Fall. Just like the Cuban Gravel Crisis event. What is cool about this event is that it is put on, in part, by a Trans Iowa vet, and is an event that you can bring the entire family to. There is a festival in the town of Cuba, Missouri that weekend and they have all sorts of cool things lined up for people to partake of. There will be wine and beer tasting, music, crafts, and other entertainment. It sounds pretty rad, so if you want to do an event and have some fun things for the family to do, check this one out. There are 20, 50, or 100 mile course options and there is also a running event that day in Cuba. This week past has been a slow going one for me. That ride last weekend blasted me pretty good, and even today I can still feel the effects of that beat down. I've been resting and doing only commutes and errands by bicycle, so I would not over extend myself and cause further delay in my recovery. The next gig upcoming is the Geezer Ride. That's an easier ride, by far, than what I have been doing. Hopefully the weather is good for that one. I may get out and ride that course once again just to see how things are. Otherwise, it's a go, and I will look forward to seeing whomever shows up on Saturday morning, August 15th, 2015. 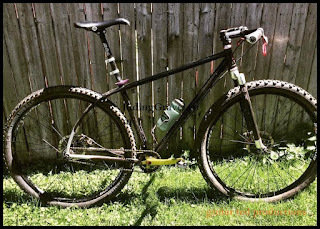 The very next weekend is Gravel Worlds and I will be making the trip down to see if I can knock out a 150 miler again. I've had a lot of experiences in the heat this year, so I suspect this one will be another cooker and that experience will pay off for me. Well......it's a theory I have anyway! Then I'm done for the year with events. I will be riding just for the fun of it, looking forward to Fall mountain biking, and Winter fat bike stuff. So, that's the plan, at any rate. Thanks for reading, as always, and get out and have an adventure this weekend! On this year's GTDRI I used a few items, like I have earlier in the year, and they worked really well. I won't dwell on specifics if I've covered them previously, but here is my Odin's Revenge Gear Review where I do cover some of these items in more detail. Bike Bag Dude: I did get a coupe of Bike Bag Dude bags after Odin's which I put to use for this edition of the Guitar Ted Death Ride Invitational. First are the newer, larger Chaff Bags which were fantastic. The original sized Chaff Bag was good for a single water bottle, but you weren't going to get anything else in there. There also was a bit of an issue, for me anyway, in getting my hand in without a bit of wrangling while riding, say if I wanted a handful of food to eat on the run. This larger Chaff Bag is very easy for me to reach into, and plus- you can get other items in there along with a water bottle. You know......like a wallet and money! Then all you have to do is remember you put that in there! But seriously- I could put other small, thinner items in along with a water bottle, which made the Chaff Bag in the larger diameter size even more versatile and useful. By the way, all other dimensions of the Chaff Bag besides diameter are the same as the original's. The second item was the new top tube "Garage", (the name is apparently going to stick that I gave to this bag), and it lives up to the moniker. During the ride the Garage was fantastic from the standpoint of ease of opening/closing. That is important, as I hate having to fight with a zipper to get a bag closed while riding. The extra string on the zipper makes it easy to yank on the zipper to close it, and I imagine it will also play well for those who wear full finger gloves when it gets colder. The stability of the bag was unquestionably solid. My "OCD" tendencies always show up in regard to top tube bags when they "list" to one side or the other. It drives me nuts! The Garage wasn't a bag that I had to worry about in this regard. I've used it sans the frame bag and it still is rock solid. I also used the Bike Bag Dude custom frame bag for my Large Gen II Fargo on the ride and that saved me from having to use a seat bag. I kept all the repair items in the "lower section" and food was stored in the upper pockets. It was overkill, as I had extra, empty space, but since there was little to no wind and the bag weighs very little, I did not see any negatives to using it. For more details on the Bike Bag Dude bags see my "Overview" here. Again, for info on the Sol Skin arm covers, Cowchipper Bars, iSSi Triple pedals, and more, click to see my Odin's Gear Review. 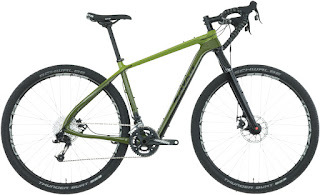 Bike Choice: I think a quick explanation of my bike choice is in order, and I can simply boil it down to two very important things. One was that the Fat Fargo is the bike I've spent the most hours on in 2015 and without question, I was very, very comfortable on this bike for long hours and in very demanding conditions. Not to mention that it is set up for longer rides. Secondly, and more importantly, the Fat Fargo has the lowest gearing of any of my currently rideable bikes. The exception to that would have been my Gen I Fargo, which has a similarly set up drive train, but I have to sort out the wheels yet for that bike, so it is in an unrideable state at present. So, the Fat Fargo made a lot more sense on this tough, hot, steep ride than any of my other rigs. Comments on the 2015 GTDRI: Without a doubt, this has to go down as one of the toughest rides I have completed, not to mention probably the hardest GTDRI to date. More on that later. First off, I want to thank a few folks up front. To the riders of the 2015 edition: Traci, Josie, Lance, Joe, the Frey Brothers, Jeremy, Tony, Martin, and Derek- Thank You!! This was a fun day for me and it was great to get to know you all a bit better. Thanks for your support when I lost my money and for the encouragement then. A Special Shout Out: To Marty, Tony, and Jeremy for their extra encouragement and help when I needed it. Okay, so I won't get into all the details of what I thought about the ride here. Go back and read the three previous reports for that. What I am going to comment on here is the course. This was the fourth and likely final time I'll use it in the form it was in. There are a few reasons for this. First of all, Ironwood Road got paved which added several miles to the route in pavement, which I don't like. If I used this area again, that would be taken out, which would unfortunately also take out Imperial Road and Impala Road, since there is no good way to link those two roads into the loop without using Ironwood Road. In fact, had the incident that occurred last year not happened, I would have modified the course in such a way as to eliminate all of that this year, but I wanted to knock this out as we should have done last year. I probably will design a new course up that way and there will be a few more modifications, but that will have to wait for the future. I will say that if anyone wanted a tough, but beautiful Fall ride, this route would probably be spectacular. That said, I think I can take out a bunch of pavement and still have a great route up that way. Martin also rode a Fargo on this ride. It's a great choice for a route like the one we rode. The course was good as it was though, and it seems that we had about 7500 feet of elevation gain in just over 100 miles. Mileage on the route varied amongst the riders. I took my cues and mileage right off Map My Ride, and my bike computer was spot on with those figures the entire ride. Once again, I finished with 106.75 miles. Those that went back to get there cars at Backbone added about 8 more to that. Cues were spot on and we did not get lost or have any miscues. The Future Of The GTDRI: I didn't note until just before the ride that this was the tenth running of the GTDRI. I already know what I want to do for the next one, and it will be a bit of a throwback and a celebration of the Decade of Death Rides. The route will be a reprise, as much as it possibly can be, of the very first GTDRI, which I just recently found the cues for again. That route was supposed to be 145-ish miles, but due to a navigational error on my part the day of the first GTDRI, it ended up becoming a 152 mile ride. So, if I can figure out where I made the wrong turn in Tama County, we'll do the exact route from that year, as long as there are gravel roads to do so. So, there's the announcement, and it will happen on the last weekend of RAGBRAI, as I have been scheduling the ride that way the last several years now. Stay tuned for details next year! With a bit of a snap to my pedal strokes, now that all was right with the world, I was looking at the toughest part of the course with a bit more optimism. However; let's be real here- The day was very hot, the Sun was beating down with perhaps the greatest intensity that it will have all year, and there was little to no wind. The hills? They would be steep, long, and unrelenting. There would be a few highlights along this section, but we all realized, I think, that we were about to get punched in the face, and the going would be slow. Hey.....where do you think the name for this ride came from anyway! So, with that reality facing us, we moved on out of Elkader under an unrelenting Sun and climbed up and up to the highest elevations we would reach for the course. We stopped a few times under whatever shade we could find, just to drop our core temps when we had a chance. Lance was heard on several occasions praising slight puffs of air as being the best thing since sliced bread. Yes.....it was ridiculously hot. When you get that warm, you can feel an ice cube's vapor from a mile away, or so it would seem. When we approached Ironwood Road, which has unfortunately been paved since we did the route twice in '09 and '10, Jeremy started in on how there was no way he was riding Impala Road. Now, this road has a pretty well known reputation amongst Northeast Iowa cyclists. It isn't a long road- maybe two and a half miles- three miles long? But what it lacks in length it makes up for in roughness. Typically this road, which bombs down the side of a steep, tall hill, is most like a mountain bike trail than it is a road. The bottom, (which technically speaking is a different road, I understand, but we're going with "Impala Road" anyway), runs along the Turkey River, and depending upon flooding, could be benign, or really a mess. Who knows what we'd find there, but first, there were some other things to overcome before we even got to that infamous dirt road along the Turkey River. Imperial Avenue was another B Level which was a great escape from the Sun and a fun road to ride up. There were some giant rollers featuring steep climbing just before the dirt of Impala Road. There was Imperial Avenue to tackle, which is a fun bit of B Level Maintenance road. It climbs an entire mile, mostly shaded from the Sun, and makes for quite a grind, but at least there is shade! Then there is a bit of Imperial Avenue that has gravel that comes back out to Ironwood Road that has a brutally steep climb. We all stopped to gather ourselves up here for the monster that is Imapala Road. Imapala Road is more than just about a B Level Maintenance road. 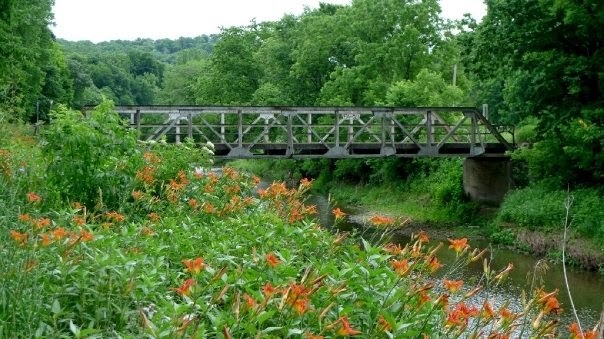 It has a gravel section about two miles long, and there is not one single meter of it that is flat with the exception of a bridge deck at the bottom of a steep ravine. So, by the time we reached the beginning of the dirt, which is at the summit of another grunt of a climb, of course, we were obliged to "chill out" a bit. Now, it needs to be said that Jeremy managed to talk a couple of the other riders out of doing Impala Road, for fear of the roughness of it. This would come back to bite them later on, as we will see! So, anyway, we were taking our leisure under the shade of a crab apple tree and munching on Sun-ripened apples from another tree nearby. After a brief spell, we all managed to get back onto our bikes and bomb down the dirt, which wasn't quite as gnarly as in years past. It would seem that someone had actually been doing a bit of maintenance on this road! A bit of water erosion prevention was evident, and a lot of the rubble noted on the upper end in years past had been cleared off. Impala Road still wasn't easy, by no means, but it was fun. The lower regions being mostly affected by storm damage and rutting of the Amish folks wagon wheels. We kind of took over the convenience store in Elkport, much to the chagrin of the locals, it would seem. We met those who by-passed the goodness of dirt at the bottom of Impala Road, and then we made the next stop in Elkport where there is a very rustic, but decently stocked convenience store. Most importantly, they had very cold air conditioning and chairs to sit on! No one really made any sign to oppose staying here as long as we wanted to. The heat was really dictating that we take care of ourselves in order to complete the course. With so many Garmin computers on the ride, we had temperatures recorded several times during this stretch of well over 100°F with a maximum reading, (that I know of), topping out at 113°F!! So, you can imagine that we were really getting slow cooked out there. It was all we could do not to turn ourselves into a casserole for wild beasts to eat out on the side of some forgotten gravel road! The right turn on Hennipen Road. You can see the riders on the left in the distance at the foot of the big climb here. At the top of the Hawk Road climb. We were all super cooked! Leaving the convenience store behind, we embarked upon the last difficult bit of the day. We had about 28 miles to cover, but it would be a slow, really tough, 28 miles! First up was Hennepin Road's big climb out of the Turkey River valley. Then even more climbing after a descent on Hawk Road, which is long, steep, and unrelenting in its brutality. That was enough to stop us at the crest of that climb for an extended period of time to cool off. Oh yeah, did I mention that wasn't even 5 miles of riding?! Sheesh! Maybe we would end this ride in the dark after all. It was rounding past 5:00pm already, and we had been at this almost 12 hours so far. I was pleased that I was riding, and doubly so that I had a 24T granny gear! I used it quite a lot during this period. I noted while I was resting on Hawk Road that my upper calves were "crawling". Like I had parasites underneath my skin. It was odd, and it looked like something from an alien freak show, but I didn't feel anything out of the ordinary. I suppose my electrolytes were depleted and my muscles were freaking out. I started to drink liquids in earnest. Looking back down Hawk Road the way we came up. I finally got up and motioned that we needed to move on. We weren't going to get anywhere seated there! Plus, the next bit was going to mark somewhat of a personal milestone for me. It would be the first time I had been at the spot where I was hit by the truck last year. I wasn't really sure how I would feel about that, and I was eager to push by that spot to "get it over with", as it were. I climbed up and down some roads for a bit. We stopped again under a shade tree where a big German Shepherd dog came bounding out to say "hello" to us and it was quite friendly. A lovely young lass came out from the nearby farm house just then and assured us that the dog was friendly. Derek asked her what the name of the dog was and she replied that it was Jake. I think it was Marty, but someone retorted, "Oh, like Jake from State Farm! ", in reference to a humorous advert on T.V. here. It was a lighthearted moment during a fun, but brutal afternoon. We eventually made our way down the road, and as we turned onto Fantail Road, I found myself at the tail of the line. I was determined to get to the top, and past the "spot", but my legs had other notions. Cramps! So, I hoofed it up the road, Jeremy did as well. I also noted others off their bikes, but some actually did make the climb and disappeared over the hill where I was laid in the ditch by a white Silverado only a year before. Tony and Jeremy recounting the details of an event that happened a year ago at this very spot in Clayton County. When I reached the "spot" I saw Jeremy, Tony, and Marty waiting there. Jeremy and Tony were the only two here this time that were there last year and witnessed the crash. I laid down and rested, since I was cooked again, and tried to relax. Really, all I wanted to do right then was sleep, since I was dog tired, but Marty and Jeremy were asking if I was okay, insisting I keep hydrated and eating. I was okay with drinking, but eating? I had kind of a sour gut by now and nothing sounded good at all. So, I drank, but I didn't eat. Oddly enough, the scene didn't really hit me one way or the other. Quite frankly, I think it was because I was so consumed with merely existing and trying to get it together to move on that the past didn't matter. I really didn't even ruminate on the crash and my experience one bit. Eventually we were moving up the road again, and I gingerly pushed against the pedals expecting a "lock-up" to occur at any moment. Thankfully, that didn't happen, and perhaps due to my taking of two Gu Energy Endurolyte caps, it didn't happen again for the rest of the day. The last highlight of the day for all of us was Bixby State Preserve road. I kind of had a second wind through here as I went on ahead and turned up Firefly Road, which in years past was a B Level, but now is a C Level road. There was no gate, so I dove into a weedy two-track and out the other end to take a short left jaunt to "Fortune Avenue" which is the backside of Bixby State Preserve. Well, here was a conundrum. The road was closed to traffic, and the barricade was only set up so as to prevent autos from descending the long, steep down hill, which as I recalled, was pretty rough and rocky. Well, it was all of that and maybe a bit more than that. Ruts were big and deep, and the rocks were chunky, ledgey, and loose in spots. Of course, we went down it anyway. Jeremy and the others that avoided Impala Road came down this as well, not knowing what they were coming in to, and ended up riding a road far rougher than Impala Road was after all! Ha! That'll teach ya to short cut the route! Well, then there was the beautiful climb out of that ravine, and then on to Mission Road towards Strawberry Point. It is only a seven mile jaunt to town from the turn out of Bixby State Preserve, but it seemed to take forever, and now I was running out of steam. I stopped along with Marty and Derek and downed some gummy bears. Then I got going again. I made it back to Strawberry Point a little before 7:00pm and headed toward a convenience store to grab a Coke. Inside I saw Lance and his daughter, Josie. Lance asked kindly if I'd sit with him while his wife went for their car, since they were done, and Joe, their companion, could ferry my truck back as well. So, I kindly accepted that offer, and with 106.75 miles in the books, I finished my GTDRI for 2015. Tomorrow: Some comments, a gear review, and final thoughts on the GTDRI '15. Good people, blue skies, and a ribbon of gravel road- What could be better? It was high time to leave Wadena, and as I accepted my fate internally, I wasn't trying to be outwardly negative. I lost my wallet and my money, sure, but it was all my own fault, and that shouldn't dampen the spirits of those riding on this awesome, hot, humid day. So we rolled out of Wadena on Herriman Street. I noted the spot where I had seen Ira Ryan and Brian Hannon ride by me during Trans Iowa V3. I also noted the road that the old Trans Iowa route took off across the Volga River over a cool, old steel gabled bridge. I mentioned it to Tony, and he said he knew of it. He is a pretty well traveled Iowan, when it comes to the rural areas. So, we headed North. I'm pretty sure T.I.V4 came down this road towards Wadena, and I was thinking a lot about that too. These roads are like old friends to me, sometimes. Well.....maybe more like old memory reminders. Anyway, I didn't dwell on that too long, as there were hills to climb and people to chat with. I found myself riding with Derek a bit through here, and Jeremy, of course. Jeremy, who rode with me at Odin's, and had been on the GTDRI the previous year, was determined to see this course completed and to see me do that as well. Sort of making a statement against what had happened last year, I guess. At least I was feeling like that was part of our determination to get this knocked out with no questions. Any place that was shaded became a coveted riding line. Any respite from the heat was appreciated! In a replay of the previous year's GTDRI, we came across the same, energetic herding dog we saw last year, and sure enough, it was ready to run with us. We all tried to coax it back home, but it was having none of that. It yipped and squealed with excitement if we stopped, and would run like lightning when we were moving. Just like last year, we lost it finally on the fast descent to Echo Valley Road. This was the beginning of our "river bottoms" portion of the ride, and was a good section to get in some miles and see scenery before we reached Elkader, ate lunch, and really threw ourselves into the teeth of the lions! Those would be some brutal hills, but for now it was about having fun and riding bicycles without a care in the world. At least, I tried not to think too much about what had happened to my money. We drafted this combine into Elgin, Iowa. We rolled through a little town called Elgin, and I always chuckle when I am there, because they have a bike lane on the main road through town marked with "sharrows". There are maybe two folks in the whole village that even know what those represent! Well.......maybe that is exaggerating a bit, but I bet there aren't many that can interpret those marks. Elgin has a pretty steep climb out of town, and then we dove back into the gravel South of there on "Abbey Road". Some folks ask how I make up routes, and sometimes I pick roads solely based upon their name. Abbey Road, which has an obvious reference to the "Beatles", is one such road. It just so happens that it is really a cool road to bicycle on! So we were cruising onward toward Elkader, and suddenly Marty whoas up a bit. It appeared he had a phone call. My interest was piqued, sensing it may be news about my wallet and money. I soft pedaled and Derek slowed up with me, as we were chatting about Steb's Amusement and other such sundry Cedar Falls Iowa trivia as we rode. Eventually, Marty gets back up with us. Unfortunately, the news was not good. The Park personnel had cruised the lots and had seen no evidence of my belongings on any bumper. I kind of suspected that would be the answer. Marty apologized for being the bearer of bad news. But hey! It wasn't his fault at all. Joe flatted and Jeremy photobombed me! The others seemed to understand what was up and asked what the outcome was when we caught up to them. I relayed that it wasn't good news, and then they all tried to encourage me with thoughts of good people doing the right thing, which was really appreciated, but ya know..... In my heart I figured it was a done deal. I texted my wife when I heard a text come in from her, signalling me that I had a good signal. (Or something like that!) Anyway, I let her know she should cancel the cards and that the others were willing to cover me for the day on expenses. On we went until Joe sat up and said, "I've got a flat! ", along with a few other choice words. We yelled for those up ahead to stop, found some nice shady spots, and took our ease as Joe repaired his tire. Apparently Lance had Joe on the clock, because I heard Lance say "Six minutes and change....", and we were off again on our way to lunch. I needed lunch too, as I was getting quite hungry. Otherwise I was feeling great, and Jeremy was encouraging me all along. The policeman stopped the parade and waved us through! Finally we reached Elkader at 12:08pm and were rolling downtown toward "2Mit" and other food choices in town. Suddenly, I saw two fire engines parked along the street. Tony, who is a fireman piped up and said he thought there must be a parade. I figured it was over with, since most parades I am aware of are in the morning. We parked in the shade of some low trees behind a building adjacent to 2Mit and I thought we would be eating 2Mit burgers but Lance suggested we try the local Irish themed pub and get a meal there in the coolness of their A/C. This sounded wonderful, as I was cooking in the now 90-ish degree heat. It was much warmer than the forecast led me to believe it would be! Air conditioning sounded heavenly. So we marched in, ordered, and waited way too long for our meals, but it was good stuff. Then we reconnected with those who did have a 2Mit burger, got our stuff topped off- water, food, and whatever else needed attending to.....and what the heck! I pulled out a water bottle to get it filled up out of my Bike Bag Dude Chaff Bag, and saw something odd way down inside the bag at the bottom. I reached in, and pulled out my wallet and money! I payed Lance off for my lunch and Tony too! I was so happy to have that off my mind. I texted my wife the good news, and off we went........right into a parade! The parade had just begun, or so it would seem, since the fire engines typically lead off parades in Iowa, and they had just passed by. Suddenly, a gap in the parade line occurred and an officer waved us through. We waved to the onlookers as we hastily made our way up the street and to the gravel East of Elkader. The start was in Backbone State Park. The 2015 Guitar Ted Death Ride Invitational was this past weekend, and like many of these events, there were some surprises, and some tough parts for all involved. This year the event was deemed a big success by those who showed up to ride it, but it didn't come easy! I woke up at 3:45am to get ready and drive the 60-ish miles over to Backbone State Park to meet up with whomever was going to show up and ride at 5:30am. Well....not really! Knowing how humans usually do things, I figured if we took off before 6:00am, we were going to be good! So, I arrived with plenty of time to spare, even if we'd have started at 5:30am. I ran into our first rider, Derek, as he was preparing to get ready for the day, and I was excited to see who else might show up. I didn't have to wait long before several other vehicles with bicycles attached to them began to show up. We had Martin, with his blue Fargo, Joe, Josie, Traci, and Lance from Dubuque, and Jeremy from Waterloo. Then a couple of brothers showed up from the Cedar Rapids area, the Frey brothers, and finally, at the last minute, Tony from Waterloo came screaming into the lot to make 11 riders with 10 bikes. Yes- one was a tandem. The first on a GTDRI, and the stoker, the eleven year old Josie, becoming the youngest to ever do a GTDRI. The forecast was for a beautiful day, 80's, but humid. No big deal, since that's par for the course come late July. At least it wasn't looking like there was a high probability for thunderstorms. As we got ready to ride, it was apparent that the humidity was going to be a big issue, as it was 72°F at the start, and there was hardly any wind. The Sun had yet to rise, but we were on our way. The start comes up out of the lowest point in Backbone State Park, and it is a steep climb out. Many of those in attendance later remarked at how they were sweat soaked by the time they got up out of the park. It would be the theme for the day. I cannot count how many times I thought about how bad we must have smelled to others throughout the day! The opening miles were on pavement , but we turned onto our first bits of gravel after about 3 miles in to it. The roads looked great, and we were all pretty stoked to be on our way. It was the first year of the GTDRI to have a tandem team, and Lance and his daughter Josie were looking good on their Vicious Cycles tandem with same side drive, which I'd never seen before. Joe was on a Tamland Two, which was cool to see. 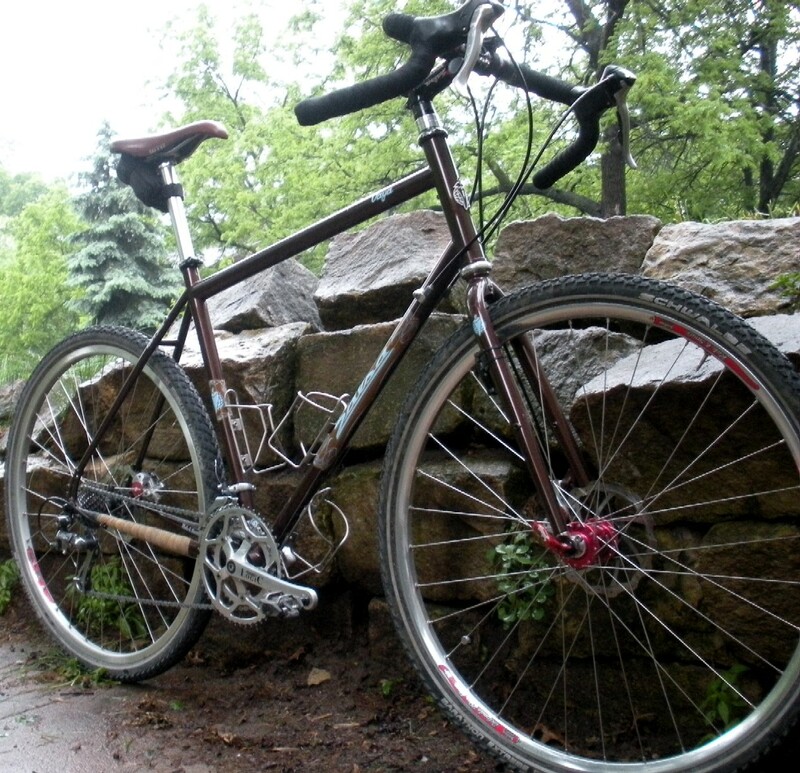 Tony was sporting his classy Rivendell Atlantis, and there were a few cyclo cross bikes in attendance. So the 11 riders and 10 bicycles went forward to meet the day. The opening miles of gravel looked like this. Eventually the Sun made its presence known and it would be a major factor later in the day on the riders. The initial miles were not remarkable except for the immediate camaraderie between the riders. It always amazes me how soon people are getting to know one another on these rides and the way that folks seem to be open and accepting is rather remarkable. Not only considering these times, but from the perspective of cyclists overall, it is refreshing to find this to be the case. I'm pretty sure most of the riders had never met before, which solidifies my feelings about this phenomenon. We cruised right through Strawberry Point, and then hit the historical "A Mission Road", or Mission Road, as it is most commonly referred to as. The road was an early 1800's Army supply route, and then became an important supply route to settlers in the area of Northern Iowa and Southern Minnesota before the railroads came through. It still exists as a gravel road running contrary to the typical grid system here, and takes one Northwest from Strawberry Point. That led us into our first big hills for the day South of Volga, Iowa and circumnavigating the St. Sebald church. Getting to Wadena wasn't easy! The clouds started thinning out as the morning progressed. Oddly enough, we didn't slow down, nor did anyone seem to want to. Miles passed by, but the resolve of the group held firm, and we did not stop at all for about 30 miles from the start. It was pretty remarkable as far as I was concerned that the entire group was okay with hammering out three hours of riding with no respite. I thought about this a few times, but given the fact that I also felt okay with it, I let those thoughts die in my head, and just kept pedaling. When we did stop it was at a place the ride had stopped at last year. There is a little ranch gate just past the spot where the Trans Iowa V4 landslide occurred at, and that's where we took a brief rest before rolling into Wadena. Cruising the last few miles to Wadena. The Sun really popped out at this point. The first extended stop in Wadena. I stood around shell shocked and wondered for a minute if my ride was over. No money, the prospect of loosing credit cards? Could I ride back to Backbone in time to retrieve the stuff before anyone found it? Fortunately, clearer heads prevailed. Tony gave me some money to resupply at Wadena, and Marty was on the phone to Backbone to see if he could rouse anyone there to go look for my stuff on the bumper of the truck. With a downcast heart, I stuffed a few items in my face, filled my bottles, and we were off to get to Elkader about 30-ish miles more up the road. The day had grown mighty hot and the skies had totally cleared off. This was not at all the forecast I was led to believe we would have, but it fit right in with the cookers we've had for previous GTDRI's. So, it wasn't like I was surprised, I was just a bit disappointed and I was fearing the worst for a while. Eventually, I realized it was what it was. I just had to manage things the best way I could, and rely on the others to support me in more ways than I had realized from the start. Will the tiger lilies be as spectacular as they were in '09? 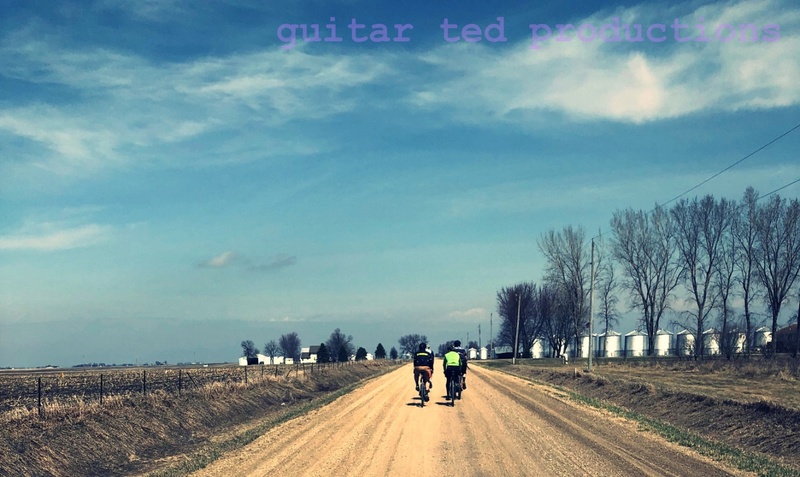 Tomorrow at 5:30 am in Backbone State Park some gravel road cyclists will be gathering for the tenth running of the Guitar Ted Death Ride Invitational. Here is some interesting information on this event you may not know. The first GTDRI was held in 2006 and started in Cedar Falls, Iowa. It was also the longest one, at 151.7 miles. Also, I did that one on a single speed. Until this year at the Dirty Kanza 200, that ranked as my longest single ride ever. The next GTDRI was truncated down to 80-ish miles due to rain during the event and was run out of Marengo, Iowa. The next year saw me run the event one of two times it came out from Hickory Hills County Park. In '09 and '10, the GTDRI originated out of Echo Valley County Park near West Union. The '11 GTDRI was the second out of Hickory Hills. In '12, the GTDRI rode out of Grinnell, Iowa. 2013 saw the Slender Fungus come up with an epic 150 mile course starting in Jackson County. Last year was a revisit to the '09/'10 course, but I modified it so we started in Backbone State Park, where this year's ride will also start from. So, out of the ten that will have occurred, four of them are basically the same course. The reason why is that this particular loop presents some of the greatest challenges, and the most spectacular scenery, with some of the best stops along the way we've had on GTDRI's. Expect a full recounting of the goings on starting Monday. 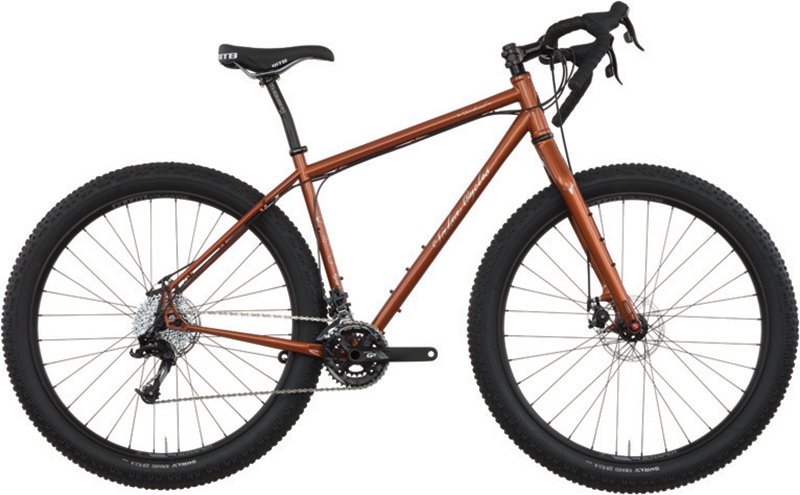 The year has been all about the Fat Fargo so far, so why change a good thing? I was going to use a different bike for the GTDRI, but I happened to use the Fat Fargo for a commute the other day and I realized I had the bike so dialed in with the new Cowchipper Bar and the Bike Bag Dude bags that it was immediately comfortable and felt perfect. There is that, but the "straw that broke the camel's back", as it were, was something else. The course has brutal hills and they have really steep gradients. There are plenty of 10% plus grades and some in the 15% range with one going as much as 18%. There are also some longer climbs out there with one well over two miles long. (That's a lot for Iowa!) The Fat Fargo is the only bike I have going now with a wide range triple. The other bike? Meh....... It would hold its own, but there is no bail-out gearing, and after many hours and miles in the saddle Saturday, I may need that super low gear to be moving at all. 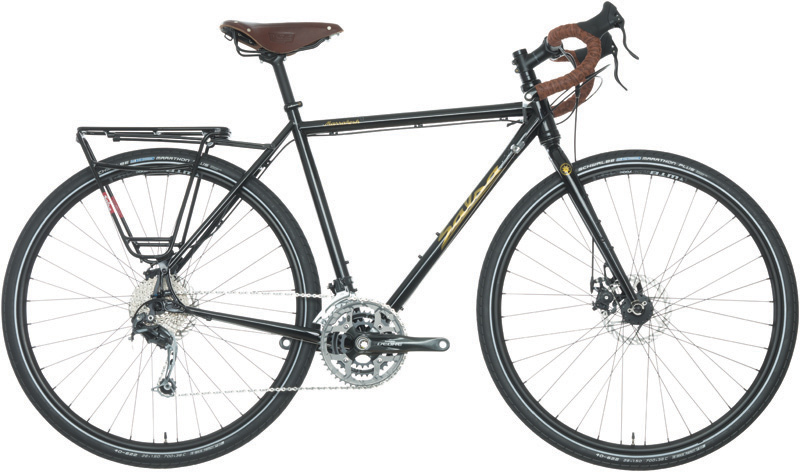 So, I am going for the familiarity, comfort, and gearing on the Fargo. Not to mention the cargo carrying capacity for water, the fat tires for stability at 40mph downhill, and the Bike Bag Dude kit which is custom made for the bike. I never know who will show up for sure at any given GTDRI. Yes........I know it says "Invitational", but that is tongue in cheek. I don't "invite" anyone based on any criteria other than that you need to ride a bicycle and you should be prepared for a tough, self-supported, 100+ mile ride. Anyone that feels they have what it takes to bite that off, chew it up, and swallow it can join in the fun. So I know of about six individuals that have said that they were coming. Maybe we'll see all six show up plus myself for a grand total of seven. That's an average showing for this event. I've had as many as 24 and as few as myself and two others. However many show up, we'll have a good time, and we will not leave anyone behind. I expect to see a at least one person show up that is a surprise. I've had people drive all night, hundreds of miles, just to ride the GTDRI. I've had people from as far away as Michigan, North Dakota, and Kansas come for this ride. You just never know who might be pulling a bicycle out of a car at the start. It's quite humbling and I am honored to ride with anyone that shows up. The people make this ride what it is, so before I even get there- Thank You. Thanks to all who will be coming and that made time and sacrifice to ride along with me on this silly little gravel road course. My hope is that each and everyone of you has an awesome, good time. See ya next week! Have a great weekend folks! It was Wednesday and the mighty RAGBY was coming into town. I worked till about noon, bugged out, and got on my Blackborow to see how the Green Belt was doing. I had heard rumors that it had been mowed and was clear enough to ride through. I had just installed a Rock Shox Bluto fork on the front of the Blackborow recently. My intentions were not to be running these wheels or the dinglespeed drive train on it, but the rest of my parts have not been procured as of yet, so I have to hold off riding, or decide just to go with it as is, and of course, that is what I did. I had no idea what to expect other than what I had heard from a few trusted folks I know that were pretty positive that it would make my Blackborow better. One of those folks, MG, had plenty of time with one and had lots of good things to say, so I was positive about trying it out, but I didn't really think it would make that much difference. You see, the Green Belt is not necessarily known for it's elevation changes, nor for lots of rough trail features. I already had 4.8" fat bike tires at low pressures, what else could I need? Well, not a lot for the Green Belt, is what I was thinking. I took off on a sunny, pleasant afternoon and headed over to give it a go and see what all the fuss was about. I didn't even check the fork's air spring pressure, which was set by the previous owner and felt plenty stiff to me. The beast emerges from the jungle! The Bluto looks nice with the graphics on my Blackborow DS and compliments the bike nicely. The initial ride over and whatnot was nothing different than usual. Which is a positive thing, I think. Of course, the bike gained a bit of weight in the exchange, but as I pedaled it along, I didn't feel anything dragging me down. The Green Belt was mowed, as reported, so I dove in and cruised the mostly smooth trail for the first sector. A lot of the trail was like this- no big deal. I was going along and feeling good about the bike, but as I have said, the trail wasn't really all that demanding. In fact, at first I thought is was uncommonly dry for having had rain a day before. Much of the initial parts were so dry the earth was cracked. Then I came across some sand, and I didn't catch this at first, but later on into the trail, I realized that instead of washing out the front wheel, I was able to correct the way the front end was headed, and avert any crashes or stops to catch myself from going down. I feel it was due to the suspension fork being able to absorb my initial corrections which gave me time to get the bike back underneath me and carry on. That was a good thing. Then I started coming up on some blow downs that had trail work-arounds so you could get by the limbs and what not. This coincided with the occurrence of muddy spots and then out and out mud pits where the big 4.8's showed their worth. I was able to pretty much motor right through without too much trouble at all. All of that done in the "high" range on the dinglespeed drive train. That made me happy, because when I got the bike, using the "high" range wasn't working for me. Now I was pushing that gear with no real problem at all, and even climbing the dikes in it. Guess I must be in better shape than I thought. A deep, sloppy mud hole that the Blackborow just floated right through. I decided to try and take as much of the Green Belt in as possible, so I took several of the spur trails and they were all pretty clear, for the most part. I got into the Robinson Bird Sanctuary portion of the trails and things were still fine with the exception of about three or four blow downs that mostly had ride-able work-arounds already burned in. The sandy stuff way out by Shaulis Road was no big deal for the fat bike. In fact, with all the muddy spots and with the sand, a fat bike is the recommended bike to use out there, I would say. On the way back I rode Marky-Mark, and much to my surprise it was clear and open to ride. That was nice to see. I blazed that trail, (mostly), myself back in 1997, so it is nice to find that, not only that it still exists at all, but that folks seem to care about that connector enough that they keep it clear to ride. So- is the Bluto worth the trouble? That's a great question that I am inclined to say "yes" to right now. It handled all the gooey mud I threw at it without getting the front wheel bogged down. I used almost all the travel, (see image above for where the orange "O" ring is), and for the most part, I didn't notice any big differences in handling. The ride was definitely smoother, and big jolts were absorbed well so I didn't have numb hands or more fatigue than necessary. I felt cornering was enhanced a bit. 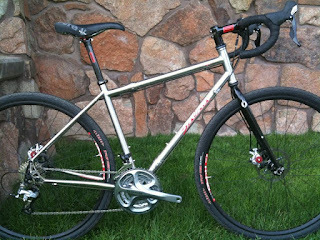 Salsa Cycles Pony Rustler GX-1. Moar B+! The Saddledrive dealer only event is happening right now in Utah and Salsa Cycles preempted all us blogging fools out here by spilling the beans simultaneously on their website. So, if you'd rather look for yourself, go to the 2016 Preview here. If you are in for a dose of my unfiltered opinions, read on. Okay, a disclaimer- I have had about two weeks to ruminate on this news, since it was shared with me early on the promise I would keep my trap shut. Well, now I don't have to do that anymore, but I put that out there to let you know that I've considered these opinions a bit over the past two weeks. 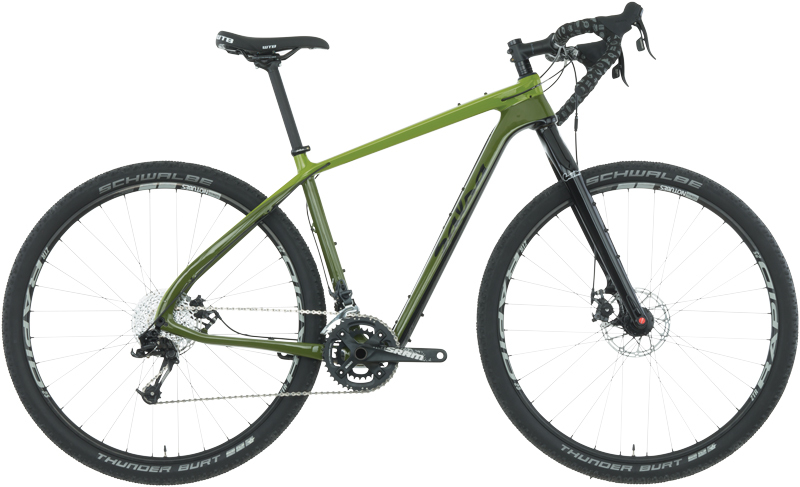 Plus Bikes: I figured Salsa would respond to the B+ thing, and the "Pony Rustler", (more on that bike and its name in a bit), fit that bill. No big surprise to me there. However; it was slightly surprising to me to see a "Fargo" in 29+, only it isn't a Fargo, it is a Deadwood. 29+ is cool and all, but as I have written here, you are limiting the sizing that works well to bigger folk. Yes.......there is a small size for the Deadwood. But look closely and you can easily compare a Small Fargo and see where Salsa's engineers had to design around those huge wheels. Oh.....and there is an XS Fargo, but not in a Deadwood. So there is a perfect example of how 29+ isn't really good for folks sized under a typical Medium 29"er, unless the geometry compromises don't bother you. 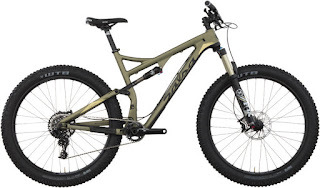 B+/27.5+ makes more sense here in terms of the Deadwood, and I am a bit surprised to see Salsa go with 29+, although as a marketing/sales product, I bet they sell every one they make. The buzz is huge around this bike. Speaking of "how many they will make", I got the feeling there won't be a lot of these made. I wasn't told outright that this would be the case, but I wasn't dissuaded in thinking so either. Take that for what it is worth. Now, back to the Pony Rustler and B+ wheels. See, this is the way I figured the Fargo/Deadwood thing would work. The Pony Rustler is nearly analogous to the Horsethief. 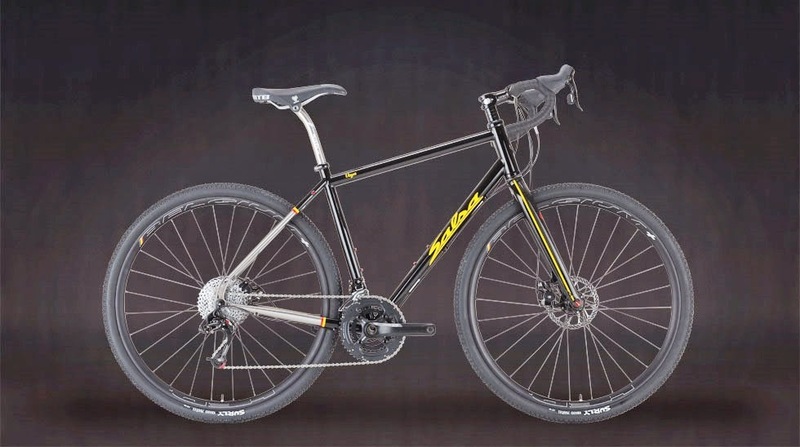 Check out Salsa's description on both bikes and you will see references to both bikes being able to accept 29"er with up to 2.4" tires or B+ wheel sets with up to 3" wide rubber. You see- a Deadwood could have been the B+ analog to the Fargo, but it isn't and there ya go. To my mind, that would have allowed an XS size with limited geometry gymnastics, not to mention a good size Small with no geo craziness. Now as for that name- "Pony Rustler". Most unfortunate. I was a bit shocked when I heard it, to be honest, but as with the Horsethief, I am sure it will become "just another model name" in the future. But really........Pony Rustler? It sounds kinda illicit and dirty. But yeah.....I like the B+ suspension bike idea, and putting everything on Boost axle width standards makes sense going forward. Sure.....it will be painful at first, but we'll all get along and have stiffer wheels in the future. It's a good thing, in my opinion. What will be interesting going forward is to see how many Horsethief bikes versus Pony Rustler bikes get sold. I'm betting the B+ wheels will end up taking over this category of bicycles once folks get on board with the fun-factor they provide. They just have tons of grip, comfort, and they will expand the possibilities for those going way off the beaten path on these full suspension rigs. It just makes a ton of sense. It's no secret that across the aisle at Surly Bikes one of their most successful models has been the Long Haul Trucker, and its disc brake equipped sibling, the Disc Trucker. Salsa had the Vaya, but to my mind, the Vaya has been a weird bike from the get-go, and still is. It doesn't really do any one thing really well, and to my way of thinking, that is its downfall. It isn't a full-on, unashamed touring tool, and it isn't the steel framed gravel slayer it could be either, although it will do both of those tasks reasonably well. Enter the Marrakesh, a steel framed, down and dirty touring rig with a lot of cool features. I'm an old, over-the-road touring fan and I keep an eye out for good touring rigs at reasonable prices. 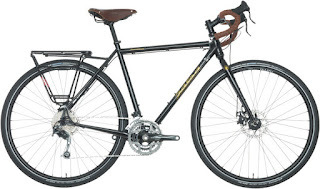 I've seen a lot of great touring bikes with super-spendy price tags, I've seen some cheaper models that just weren't right in one way or another. 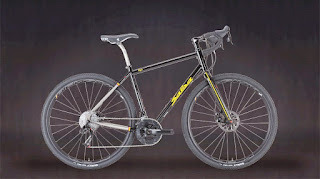 The Long Haul Trucker and Disc Truckers are cool, but- and this may be just me- I don't want a Surly logo on my touring bike. It just doesn't sit well with me, for whatever reasons. In my opinion, a touring bike should be very understated, but classy, and of course, most importantly- functional. All within a reasonable budget. This Marrakesh looks like it should fit the bill. I'm oddly excited about this bike. I am not at Saddledrive, obviously, and I haven't laid hands on this bike, but if Salsa gets this right in terms of function, handling, and if it isn't the weight of a tank, (like Raleigh's Sojourn touring bikes), then I would be very tempted to dust off the ol' panniers and go find some where to tour to. Oh yeah......did I mention that Salsa claims you can put up to 2.0 29"er tires on this bike? Did I mention the Alternator drop outs? Oh, and if drop bars aren't your thing, they have a dedicated geometry for flat bars too. All at $1599.00. Crazy. Hopefully, they did get this right! Cutthroat X-9: Possibly the ultimate do-it-all gravel bike? The Cutthroat, introduced earlier, has to be one of the big highlights of Salsa's line up for 2016. 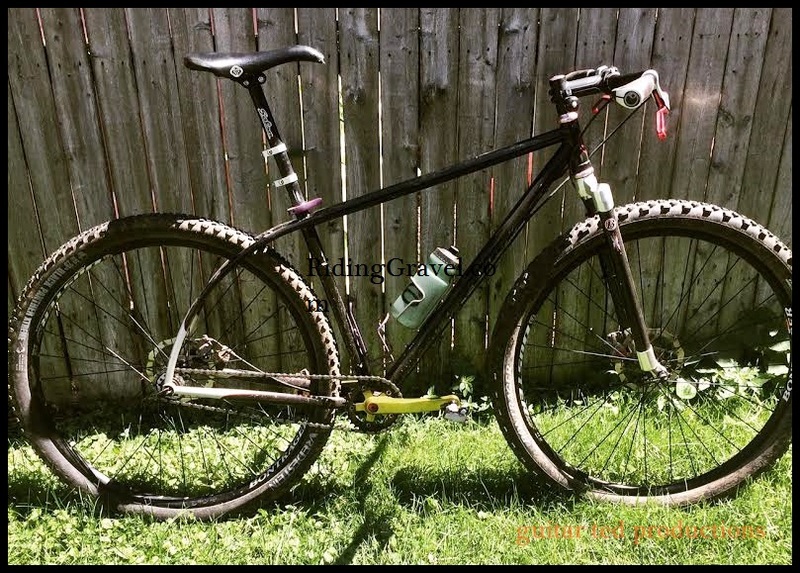 Despite its carbon fiber frame and fork, I feel this could be the ultimate gravel rig for "go-fast" folks that Salsa has yet produced. Big tires? Go with the stock set up. Skinnier tires or lighter wheels and skinnier tire? Yep! With loads of mud clearance too. The Class 5 VRS system should also be stellar on rougher roads. I feel like the Cutthroat could be the single bike solution for many gravel racer enthusiasts. Now of course, there is the Warbird, and that bike does a road drive train and likely could be the lightest bike for gravel road riding. If bigger tires aren't on the radar, (bigger than 42's), then this bike might work well, although I feel Salsa should add some bottle bosses to the fork here to aid in making the Warbird that DK200-ish length bike choice. Then there is the rest of the line up, which isn't too surprising. Paint and suspension forks are the only big deal on the fat bike side. Fargos remain basically unchanged with paint a spec updates. So too with Vayas, El Mariachis, and Spearfish. What may be a shock to some is the dropping of the titanium line with the exception of the Ti Vaya. I am not sure what is happening there, but I will only speculate that instead of sticking limited resources over steel, titanium, carbon, and aluminum bikes, Salsa is focusing on new wheel platforms, carbon fiber, the VRS technology, and expanding into the touring bike thing. I know some things about Salsa Cycles and one of those things is that they cannot "do it all". They aren't a big company with unlimited resources. Another thing to consider is how well the titanium bikes are selling. I don't know myself, but if they are not moving well, and carbon fiber is, then, ya know, what would you put your money in to as a company? Customers vote with their dollars and if the votes are saying titanium is not marketable, then it isn't. But again- that's purely speculation on my part there.